Timber flooring refers to the flooring made entirely of wood. The most preferred type is hardwood timber flooring, which comes in a plethora of styles, species, colors, and cuts. Other kinds of timber flooring are engineered timber flooring, reclaimed timber flooring, and bamboo timber flooring. Timber flooring is a popular choice of flooring for homes due to its beauty and durability. Timber flooring improves the aesthetic appeal of the house by imparting the look of a real wood to the interior decor of the house. Apart from excellent aesthetic appeal, timber flooring has many other benefits. Timber flooring is strong and durable, designed to last for a long period of time. It is a good insulator, which makes it comfortable during summer and winter months. 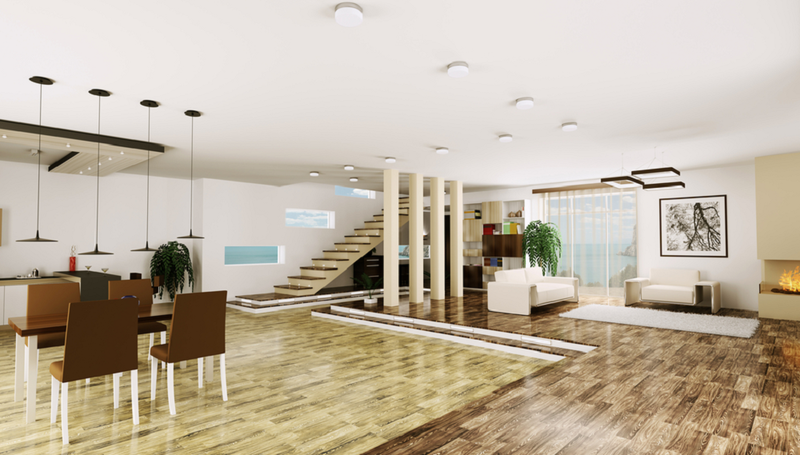 Timber flooring is resistant against dirt and allergens, which makes it highly hygienic. It requires low maintenance and merely needs re-polishing to maintain its lustrous appearance. Another advantage of the timber flooring is that it is capable of tolerating high foot traffic without wear and tear. It is made using natural wood and requires less energy for manufacturing, which makes it an eco-friendly option for flooring. Strip flooring is a type of timber flooring that has wooden planks arranged in narrow tongued and grooved hardboards, attached to the timber joints using nails. It runs parallel to the floor. The thickness of the flooring is between 5/16th of an inch and 3/4th of an inch wide. Parquetry is another type of timber flooring, which features geometrical patterns made by wood slats, attached using adhesive or by mechanical fastening. Parquetry flooring comes in two styles such as mosaic and block. Many kinds of hardwoods are used in this style of timber flooring such as Tasmanian oak, blackbutt, alpine ash, etc. 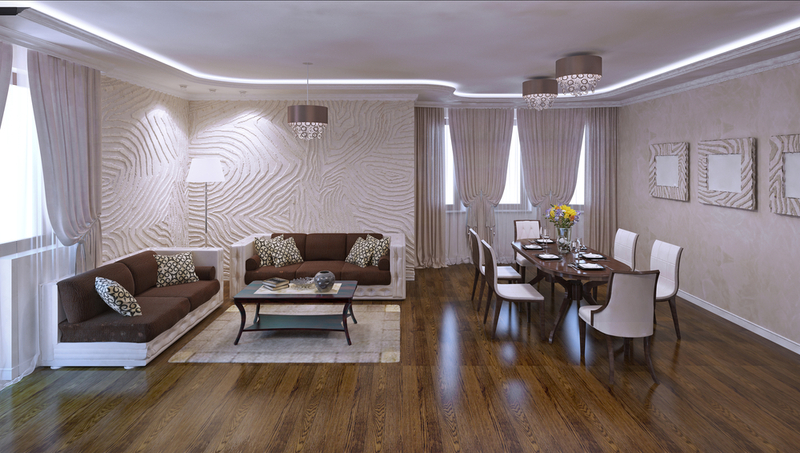 Engineering timber or wood flooring has plastic laminate veneer attached to the real wood. Wooden mosaic flooring appears as if wood blocks arranged in various patterns such as basket weave and herringbone pattern. Aluminum foils are mounted on the blocks to form panels. Laminate timber flooring does not feature real natural wood but gives the impression of wooden flooring. Laminate flooring is cheap and durable. It is also devoid of problems such as contraction, cupping, and checking. There are a number of options of hardwood flooring available in the market. Some of them are as follows. White oak is brown in color and can feature a grayish cast. It has many burls and swirls. It is hard and durable. Red oak is reddish and has a coarse grain. It is hard and resists wear and tear. Red oak is particularly famous in USA for timber flooring. Beech has a reddish brown color with a consistent grain. It is durable and capable of resisting shocks. Birch can have a dark brownish red or light yellow color. It is a durable flooring option even though it is softer than red oak. Cherry wood has a light brown color and is a soft wood. Thus, it is not usually used for the entire flooring and is appropriate as a decorative or accent wood. Pine features many swirls and knots and is yellowish brown in color. Pine is resistant against insects and is a hard wood. Douglas fir has a yellowish tan color. It is a softwood with propensity to dent easily, which is why it is used only in some kinds of flooring. Timber flooring may lose its shine over a period of time and, as a result, may become less appealing. Timber flooring can become highly slippery. It is hard in the pocket. About the Writer: This post is written by Joseph Webb. Joseph is an excellent blogger and philosophers, His keen observation to provide useful information which helps readers to get more ideas. He can be found on Facebook and on Twitter as @aussiesmag.